Now that you know how to configure the devices and what the serial driver does, let’s put it in practice. This code sends the string « Hello World ! 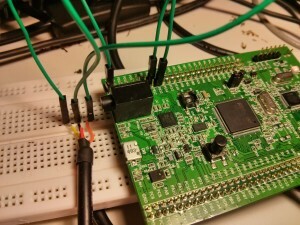 » every 0.5 seconds on USART3 of the board, using the serial driver SD3. Let’s learn about the new functions ! WAIIIT !!! This code is not compiling, i have an error with this SD3 of yours : it doesn’t exist ! You’re perfectly right, if you didn’t activate USART3 this code won’t work, we will see how to do it in the next paragraph. For now we are only going to see how to mess with the mcuconf.h file. What we want to do is to use the serial driver of USART3 (we could have used any other, but i am sure that this one is not activated in the demo folder we copied). 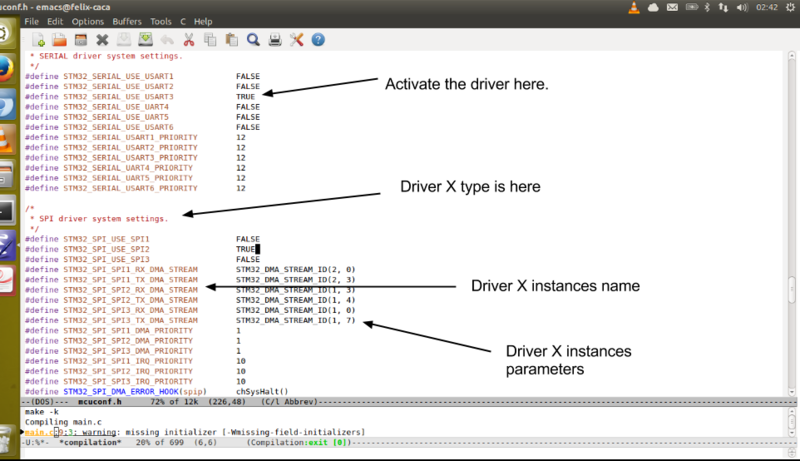 In the general case scenario where you have to activate/deactivate a driver (call it driver x), you have to look in the mcuconf.h file for the block about this driver x, in this block you will see its instances and parameters, then simply activate the one you want by defining its use as TRUE or deactivate it by defining its use as FALSE. That’s about it for the mcuconf.h file. 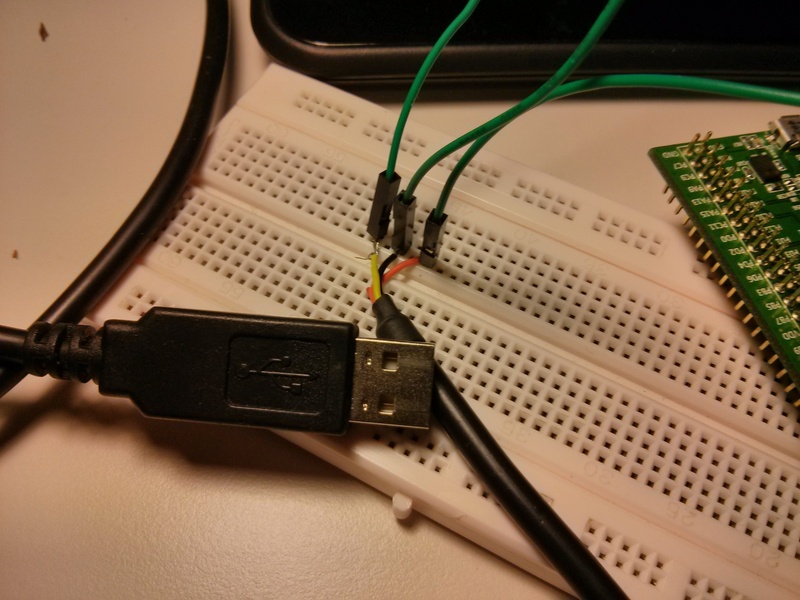 As you have seen we are using PB10 and PB11 for the UART with an alternate function as we did in the PWM tutorial. 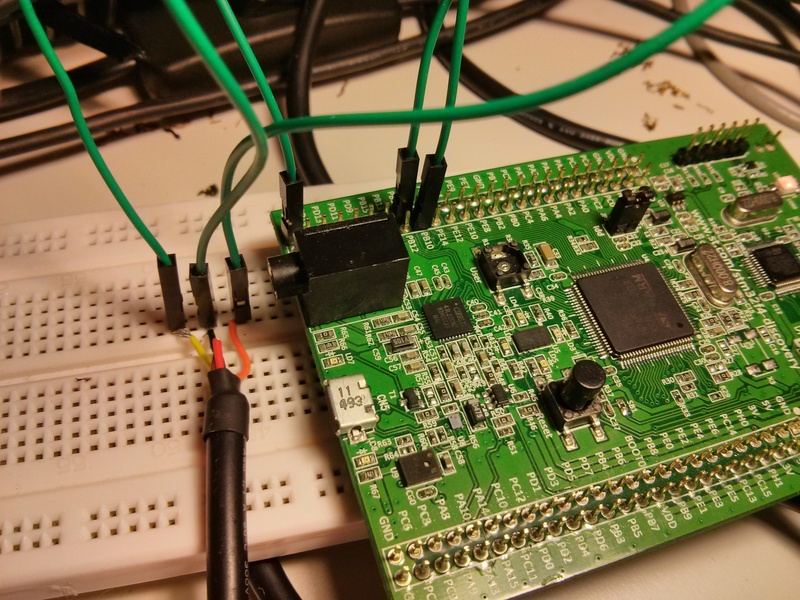 Just like before, we have to check in the datasheet which pin can use UART, and use the proper alternate function. This function, as the name suggests, starts the serial driver with the appropriate config (if cfg is NULL, the baud rate is set at 38400). This function transmits the data (as a uint8_t table) bytes through USARTX. Simply transmits the byte b, on USARTX. First connect the GND together (black wire on the cable), the connect the board USART3_TX to your cable RX (i have no idea whether it’s the yellow or orange, simply try both and note it somewhere) and the board USART3_RX to your cable TX. Then make sure your usb-serial cable is plugged to your computer, and on the correct ttyUSB, that you configured minicom to the proper baud rate. Eventually launch minicom in a shell, you should see your message (« Hello World ! ») received every 500 milliseconds. And you’re done ! This program transmits data from the board to an other device (your computer here, but it could be a radio module, a xbee module, etc…). 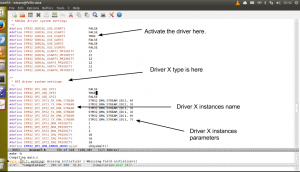 Partager la publication "Robotics 101 : Transmitting data with ChibiOS Serial Driver"